Draft: 2011, Cleveland Indians, 23rd rd. Cody Edward Allen.... Cody and wife Mallory have been very active with the Providence House, donating clothing, time and sizable monetary donations with former Indian Bryan Shaw that paid for a miniature baseball field with artificial turf for the kids of the house in April 2016.... Works with Womankind, a maternal and prenatal care center for families in need.... Regular participant in the PLAY Campaign conducted by PBATS & MLB....Was instrumental in the support and funding of the 2016 Larry Doby Fund.... Regularly attended Tribe Fest during time with Cleveland Indians organization....Was an Atlanta Braves fan growing up and favorite player was Chipper Jones....Graduated from Boone HS (FL) in 2007 where he played quarterback on football team and baseball (same HS former Indians and Rangers General Manager John Hart used to coach). Became Indians all-time career saves (149) breaking Bob Wickman's previous record of 139...Converted recordsetting 140th save, July 4 at Kansas City, sealing a 3-2 win.... Added to previously set career club record totals of relief appearances (456) and relief strikeouts (564).... Recorded 27 saves in 32 appearances (84%) and notched at least 24 saves for the fifth straight season (also a club record)...Only Allen, Craig Kimbrel and Kenley Jansen have at least 25 saves in each of last four seasons. ... Had 15 straight save conversions from May 19 - July 15 and had 11 straight scoreless outings (10.1 IP), Aug. 30 - Sept. 26... Overall on season his, 27 saves were sixth in American League, his fifth straight campaign of finishing in top 10 in A.L. in the category...52 of his 70 appearances were scoreless and batters hit .225 (27/120) with runners on base ... Recorded six saves of at least 1.1 IP and was 6-for-7 in save conversions when entering in 8th inning...Recorded seven holds following July 19 acquisition of Brad Hand... After All-Star Break, opponents hit just .161 (5/31) with RISP. Became the most accomplished reliever in club history as he again led the team in saves in his fourth season as Indians closer...Now ranks 4th in club history in saves (122) and now has the most strikeouts (484) and relief appearances (386) in franchise history...Passed Eric Plunk (460, 373) in both categories during the season...Has the most seasons of at least 24 saves in club history (four)...Overall is 7th in club history in games pitched (386) behind Mike Garcia (397)...All of the top six games pitched leaders in Indians history were predominantly starters...Only Allen, Kenley Jansen and Craig Kimbrel have at least 30 saves in each of the last three seasons (2015-17). Among American League relievers finished 6th in saves (30), 21st in average with runners on base (.214, 24/112), tied for 12th in games (69) and tied for 16th in relief innings (67.1)...53 of 69 outings were scoreless...Was 30-for-34 in save conversions & has saved 39 of 43 chances dating back to 8/18/16...Recorded a career-best 22 straight save conversions from 8/18/16-5/23/17...Became the first pitcher in MLB history (since 1969) to record a save & 3+ K's in each of team's first 2 team games, April 3-4 at Texas...Fanned 12.3 batters per 9.0IP on the year, recorded three four-out saves and his 92 strikeouts were 9th-most by an A.L. reliever. Recorded a 0.90 ERA in 10 April outings (10.0IP, 10H, 1ER, 20SO) and was named A.L. Reliever of the Month...Season hit a six-week snag from June 24-August 9, posting a 5.40 ERA and 2 blown saves over the span (19G, 18.1IP, 17H, 11ER, 4HR)...From August 12 thru the end of the season he recorded an ERA of 2.05 (22.0IP, 14H, 5ER, 31SO) over his last 23 relief outings....Right-handed batters are hitting .189 against (51-270) since the start of 2016. Recorded 100th career save on May 6 at Kansas City...Also recorded 4 holds on the year...Left-handed hitters recorded an OPS of .545 off him for the year (1 homer allowed)...Batters hit .226 (14/62) off him with RISP...Struck out 46.2% (24/52) of left-handed batters he faced after the All-Star Break...Club's all-time leader in Postseason saves (7) and did not allow an ER over his first 18.1 career IP in the Postseason until allowing run in Game 5 of the ALDS vs. NYY. Enjoyed another successful season in the back-end of the Indians bullpen, saving 32 of 35 (91.4% save conversion), finishing 7th in the American League in saves...Now ranks 6th in career saves in Indians history with 92...His .177 (41-232) average against was the 3rd-lowest relief mark allowed this year...Also finished 8th among A.L. relievers with 87 strikeouts (11.5 SO per 9.0IP), 16th in relief innings and 14th in relief ERA...Allowed runs in just 14 of 67 games on the season...From May 3-August 16 he recorded an ERA of 1.11 in 39 games (40.2IP, 22H, 5ER, 15BB, 56SO, .162 avg)...Recorded 2 saves of 1.0+ innings in 2016, the last coming on June 9 after recording 7 such saves in 2015. Allowed a career-high 5 runs/ER in blown save of August 17 vs. Chicago-AL, which was capped off by an Adam Eaton grand slam....Following his outing of August 17 he posted an ERA of 0.54 (16.2IP, 6H, 1ER, 6BB, 21SO) the remainder of the season and saved his last 9 chances on the season...On the year MLB hitters batted .213 (16-75) off him with runners on base (14th lowest in the A.L.) and .205 (9-44) with RISP....His 290 relief outings since 2013 rank 4th among Major League pitchers behind Bryan Shaw, Tony Watson and Mark Melancon...Recorded an ERA of 1.78 over his last 35 games beginning on June 29 (35.1IP, 19H, 7ER, 47SO)...His 2016 relief ERA of 2.51 ranked 14th among A.L. relievers...Right-handed batters hit just .139 (17-122) off him in 2016 (.501 OPS)....His first batter faced average of .145 (9/62) against was 8th-lowest among A.L. relievers...Recorded saves in his first 11 chances to begin the season (April 6-June 9)...Did not allow a run over 13.2 innings in the Postseason, recording 6 saves in 6 chances and limiting batters to a .163 (8/49) average against while fanning 24 in 13.2 IP (15.8SO/9.0IP). Enjoyed a solid campaign as the Indians closer, saving 34 of 38 chances (89.5%), finishing tied for 6th in the American League in saves with the 6th best save pct. in the A.L...Notched 16 straight save conversions from April 29-July 10, the 2nd longest streak of his career and saved 31 of his final 34 chances from April 29 thru the end of the season...Came 1 strikeout from becoming 5th Indians reliever w/100 in a season (last Paul Shuey in 1999)...Posted a stretch of 19 straight scoreless outings covering 19.0IP from May 24-July 10, a career-best and the longest marks by an Indians reliever in 2015...Finished 2nd among A.L. relievers in strikeouts (99), tied for 9th in games pitched in the A.L. (70) and tied for 9th with a team-high 69.1 relief innings pitched...Season FIP: 1.82...Season got off to a rocky start as he posted an 0-2 mark in April with a 11.57 ERA and 4 saves in 8 games (7.0IP, 13H, 10R/9ER, 7BB, 11K)...Allowed a career-high 4 runs/earned runs two times on April 11 vs. Detroit and April 20 at Chicago-AL over the season's first month...Allowed a run in 6 of his first 12 outings thru May 10...From May 13 thru the end of the season he recorded an ERA of 1.85 (58.1IP, 40H, 12ER, 82SO) to lower his ERA from 9.00 to 2.99...His second half started much like his first half, allowing runs over 5 of his first 8 outings (6.1IP, 12H, 7R/ER) before recording an ERA of 1.05 (25.2IP, 16H, 3ER, 32SO) over his final 24 outings from August 7 thru the end of the season....Allowed 1 ER over his last 19 games from August 21-on (20.1IP, 12H, 3R/1ER, 26SO) and did not allow an ER over his last 10 games (10.1IP)...Did not allow an earned run in 55 of his 70 games pitched and recorded a strikeout in 60 of 70 appearances, including 29 straight at one point from April 29-July 8...Lefties hit just .176 (22-125, 50SO) on the season off Cody as batters hit .270 (30-111) with runners on base and .286 (22-77) with RISP...Recorded a Major League-best 7 saves when working over 1.0IP. Spent his second full season in the Tribe' s Major League bullpen, fast becoming one of the top relievers in the American League...Spent the last four months as Indians closer, taking over for John Axford in late May and flourished in the role...Overall saved 24 of 28 chances (86..) , including a career-best 17 straight at one point from May 30-August 28...From May 30 thru end of the season he posted an ERA of 1.49 (48.1IP , 27H, 8E R, 16BB, 64K , .161AVG )...His 91 strikeouts are 8th-most in a single-season by a Indians reliever and the most since Paul Shuey in 1999 (103).. Cody finished among American League relievers in the following categories: games (T-2nd, 76), saves (9th, 24), relief strikeouts (6th, 91), relief ERA (13th, 2.07), relief batting average (15th, .194), relief innings (18th, 69.2), inherited runners pct scored (4th, 5..35, 14..), first batter average (T-3rd, .136, 9..66) and relief wins (T-6th, 6). Enj oyed a career-best 19-game scoreless streak over 17.0 innings from June 24-August 9 (8 H, 4 BB, 24 SO), both figures (tied in games, innings) representing season-bests by a Cleveland reliever... F rom June 24 thru the end of the season his E RA was 1.45 (37.1IP , 24H, 6E R, 50SO ). Was lethal against left-handed batters, limiting lefties to a .141 (18-128, 5 2B, 3HR, 10BB, 59SO ) average against with a slash line of .201/.250/.451 (2nd-lowest batting avg. allowed in A.L. to lefties)...Batters also hit .230 (26-113) wtih runners on base and .181 (13-72) with RISP ...Had three outings of 3ER allowed which accounted for 56% of the earned runs he allowed in 2014 (9/16)...Blew back-to-back save chances on August 31 at K C (Gordon solo HR) and Sept. 2 vs. Detroit (JD Martinez 3R HR)...From September 4 thru the end of the season his ERA was 0.96 (9.1IP , 6H, 1E R, 12SO )...Had four four-out saves for Terry Francona...Allowed earned runs in just 10 of 76 outings as his 64 scoreless outings were T-4th most in MLB with KC's Wade Davis. Rookie reliever became the primary 7th inning set-up reliever for Tito Francona over the second half of the season in his first full season in the Major Leagues...Led the club with 77 appearances and finished 2nd in the American League in games pitched, 5th in relief strikeouts (88), tied for 13th in relief innings (70.1), 16th in relief ERA (2.43) and tied for 4th in relief wins (6)...Finished tied for 6th in the 2013 BBWAA AL Rookie of the Year voting with two third place votes. Was at his best over the last two months of the season, posting an ERA of 2.05 (26.1IP, 24H, 6ER) over the last two months of the season from August 3rd-on...His 88 strikeouts are most by an Indians reliever since Paul Shuey (103) in 1999 and his 77 appearances were 2nd most in club history over a single-season (Bobby Howry 79, 2005). On the year he fanned 11.3 batters per 9.0IP, the 3rd-highest total in club history among relief pitchers with at least 65.0IP in a single-season... Allowed runs in 16 of his 77 games pitched...From July 7th thru the end of the season his ERA was 2.31 (35.0IP, 35H, 9R/ER, 45K)...Recorded 11 holds, which ranked 4th on the team... From August 12 thru the end of the season his ERA was 2.05 (22.0IP, 20H, 5ER). Did not allow a run over his last 10 games of the season from Sept 13-on (7.1IP, 7H, 0R, 10K)...Batters hit .205 (18-88) off Cody with RISP, .232 (32-138) with runners on base and .154 (2-13) w/the bases loaded...Earned his first Major League win on April 21 at Houston and first MLB save on May 12 at Detroit. Enjoyed a quick ascent through the Indians PD system after being selected in the 23rd round (698th overall) of the 2011 First-Year Player Draft out of High Point Univ (NC)...Split the 2012 season between A Carolina, AA Akron and AAA Columbus, going a combined 3-2-3 & a 1.87 ERA in 31G (43.1IP, 25H, 9ER, 53K, 11.0SO/9.0IP, .166AVG)...Started the season with two scoreless appearances at A Carolina and was promoted to Akron on April 11...Posted scoreless outings in 4 of his 5 appearances in Akron in April...Did make two scoreless appearances in spring training (1.2IP) in early March that made an impression on the Major League staff. Elevated to AAA on April 26; posted a mark of 3-2 w/2SV & a 2.27 ERA in 24G (31.2IP, 22H, 8R/ER, 9BB, 35K, .195AVG)...From June 7 thru his July 20 Major League promotion he posted an ERA of 0.56 (16.0IP, 5H, 1R/ER, 17K, .098AVG) in 13G... Combined over his three stops he was 3-2 with 3 saves and a 1.87 ERA in 31 relief appearances (43.1IP, 25H, 9R/ER, 9BB, 53K)....Averaged 11 strikeouts per 9.0IP with a walk/9.0IP ratio of 1.9 while limiting Minor League hitters to a .166 (25-151) average against for the MiLB season. Became the second member of the 2011 draft class to reach the Major Leagues along w/AZ RHP Trevor Bauer (3rd overall pick) after being promoted from Columbus on July 20(Barnes optioned)...MLB debut July 20 vs BAL (1.0IP, 0H, 0R, 1K)...Enjoyed 12 scoreless outings to start (13.2IP) before allowing 2-run HR to Nick Swisher on August 24 vs NYY (LHH were 0-for-21 prior to the HR) to equal a club record for scoreless appearances to start a Tribe career (shares with Alex Herrera, 2002-03)...From August 24 thru the end of the season his ERA was 7.04 in 15 games (15.1IP, 23H, 12ER, 6BB, 17K) and allowed runs in 7 of those games after going 12 scoreless to start his career...ERA first 17 outings was 1.74 (20.2IP, 15H, 4ER)Fanned a season/career-high 5 Detroit Tigers in 1.2IP (all 5 he faced) on September 15, a season-high by a Tribe reliever in 2012...Batters hit .255 (13-51) with runners on base against him and .242 (8-33) with RISP...Allowed only 1 extra base hit to a right-handed hitter all season in 67 plate appearances...Enters 2013 ranked as the 5th best prospect and best curve ball in the Indians organization and 13th best prospect in the Int'l League (2012) according to Baseball America. Went a combined 5-1 w/a 1.65 ERA (54.2IP, 35H, 10ER, 14BB, 75K, .182AVG) in 23 relief appearances after signing on 6/16...Made 14 appearances at Mahoning Valley, 6/18-8/4...Avg'd 12.34 SO per 9.0IP for the Minor League season...Pitched at Kinston from 8/8-31 then made one appearance in Akron (9/1) and one in Kinston (9/5) to conclude his first pro season. 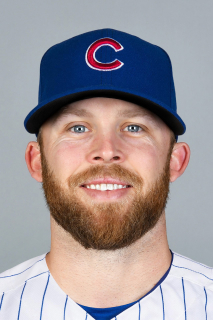 20 de enero de 2019 Los Angeles Angels agente libre firmado RHP Cody Allen. 29 de octubre de 2018 RHP Cody Allen eligio agente libre. 23 de junio de 2017 Cleveland Indians activan a RHP Cody Allen de la lista de paternidad. 22 de junio de 2017 Cleveland Indians ponen a RHP Cody Allen en la lista de paternidad. 20 de julio de 2012 Cleveland Indians seleccionado el contrato de RHP Cody Allen de Columbus Clippers. 28 de abril de 2012 Cody Allen asignado a Columbus Clippers de Akron Aeros. 12 de abril de 2012 Cody Allen asignado a Akron Aeros de Carolina Mudcats. 5 de marzo de 2012 RHP Cody Allen asignado a Cleveland Indians. 5 de septiembre de 2011 RHP Cody Allen asignado a Kinston Indians de Akron Aeros. 31 de agosto de 2011 Cody Allen asignado a Akron Aeros de Lake County Captains. 7 de agosto de 2011 Cody Allen asignado a Lake County Captains de Mahoning Valley Scrappers. 16 de junio de 2011 Cody Allen asignado a Mahoning Valley Scrappers de Cleveland Indians. 15 de junio de 2011 Cleveland Indians firmado RHP Cody Allen.